For centuries, kimchi has been a major part of the Korean diet. It is the traditional fermented food that is served at every meal. As Americans become more aware of the benefits of probiotics, kimchi is making its way to the American palate and plate. Probiotics are the beneficial bacteria that aid in maintaining the balance of microorganisms in our body's intestinal tract. On average, the human digestive system contains more than 400 types of probiotic bacteria. These all serve to inhibit the growth of dangerous bacteria by promoting the health of the digestive system. What are the heatlh benefits of the probiotics in kimchi? Well-fermented kimchi is known to have antibiotic functions such as lactic acid bacteria produced in the fermentation process which then suppresses the growth of harmful bacteria. It also helps to prevent the growth of other bacteria in the intestines. For meat eaters, kimchi also helps to prevent hyperacidity that is the result of excessive meat intake and other acidic foods. - helps reduce indigestion and gas. Excess bad bacteria causes irritation leading to indigestion, gas and fluid retention. - helps you feel less hunger. Lactobacillus, one common strain of good bacteria has been linked to appetite control. Good bacteria helps stabilize blood-sugar levels which means less frequent and less intense hunger and fewer fat storage hormones. Some studies have shown that kimchi can shorten the duration of a cold. Other studies have shown that kimchi can help clear up yeast infections and UTIs (Urinary Tract Infections). The juice and salt from kimchi helps to keep the intestines clean. The chili peppers and garlic help to lower blood cholesterol and are an aid in blood-clotting. What about calories, vitamins, and minerals? The ingredients are low in calories and sugar but contain high amounts of fiber, vitamins A and C in particular, and minerals such as calcium and iron. It also has high levels of Beta Carotene. After 3 weeks of fermentation the levels of B1, B2, and B12 double. The lactic acid is efficacious in the prevention of adult diseases such as obesity, diabetes, and gastrointestinal cancers. How does it compare to yogurt? When it comes to probiotics, Americans are more familiar with yogurt. Well fermented kimchi has more lactic acid bacteria than yogurt. Known to be good for the intestines, it also has anti-germ functions. Other types of fermented foods in the American diet are kefir, unpasteurized/homemade pickles, tofu and more recently, miso soup. Americans are also likely to use probiotic supplements. Is it possible to overdo probiotics? Not if it comes from food, although all foods in moderation are always best. Is it only served as a side dish? In addition to eating kimchi as a side dish it is also served as kimchi stew, kimchi soup, kimchi dumplings, kimchi stir fried rice, the list is becoming endless. What is the most common type of kimchi? The most common type of kimchi is made from Bok choy, also known as Pak Choi and commonly called Chinese Cabbage in American markets (and less often brassica which is related to the cabbage family). Kimchi is also made using radishes, leeks, cucumbers, green onions, lettuce, and other types of cabbage, etc. In fact in Seoul, S. Korea there is a Kimchi Museum which displays the more than 150 kinds of kimchi, and ways to serve it. Why is it called kimchi? The origin of the name, kimchi, may have originated from the word chimchae which means salting of vegetables. It then probably went through some phonetic changes such as from chimchae to dimchae to kimchae to kimchi. Sometimes it is spelled kimchee. When I lived in Seoul, S. Korea I had the pleasure of enjoying kimchi, of every kind, on a daily basis. My favorite is the most popular kind, the one made from bok choy. Kimchi stir fried rice is also excellent. See link below for kimchi recipe and Korean pancake recipe. Fantastic article! I eat kimchi almost everyday. I bring it (bok choy style) to work for lunch and have it for dinner as a side dish almost every night. I cook a lot of Japanese and Korean dishes so pickles constantly occupy my fridge. I don't understand why most Americans don't eat things like kimchi. It's healthy AND delicious! They've been doing things right with their diet in the East for centuries! Wow Maria Vasquez. Nothing like taking total control of your health...as you did. And what results. Maybe you will share the link to your test kitchen so others will take a look. You've inspired me! Hi thanks for this post. I cook and just made my first batch of Kimchi, just the way I like it. I post in my test kitchen the results. I talk a lot of the benefits of probiotics. Your post helps back up what I say. btw. I've been on a probiotic kick for 9 months now. I am almost 64. and now have so much energy I burned off 40 lbs. I feel so much better, as I suffered with a lot of different illnesses. I was on over 150 prescription pills a month. now i'm down to 30. Good stuff. Most often Iris - I buy kimchi in the large Korean supermarkets (in Queens, New York City) where it is made fresh and then packaged in individual containers - they make lots of fresh foods - excellent. However, locally (here in Brooklyn, New York City) there is a tiny market owned by a Korean family and they sell Kimchi in a jar - two different brands and I have to say they are both pretty good (I do like my kimchi a bit hotter and spicier) but I do not remember the brand names. I'd say it's worth a try at only around $4.00 for a small jar. And it is in the refrigerated section so it is not processed for an endless shelf life. I often give the jars of kimchi as a gift and it is a big hit! If you do find a brand and like it I hope you will share it with us. It may be a couple weeks before I get to the nearest local market to find out those brand names. And thanks for the lovely compliment! What are your thoughts on store bought kim chi, gochujang, doenjang...? Would they be considered processed? Can you recommend any store bought brands that are safe? Thanks sparkezbunny. A reminder that even good things should be enjoyed in moderation! Just don't eat too much. One study shows that heavy kimchi eaters had as much as a 50% higher rates of stomach cancer. Seems kimchi is not known at the common supermarket chains. That may be a good thing because it may become too adulterated. So far I can only find it at Korean owned markets. It is also sold online by Korean companies. I have not tried that but since it is fermented it should be okay for a quick shipping. And if you just scroll back up to the 4th comment by Granny Choe - I checked her site 2 years ago and she sells kimchi and much more. Hope you find it and enjoy it! Wow! I had never heard of this food. I am so curious now that I want to run to the store and buy it. Is it available at the popular supermarkets? I love bok choy so I know I will love kimchi. I will have to get some recipes. I really learned something today. Thanks!!!!!!! You are so right Stef. In fact in S. Korea kimchi was incorporated in so many different foods. Here now, a favorite of mine is making kimchi fried-rice. You're welcome gavelect - and thanks a lot for your comments. It's time to stock up. Thanks for the link cure gout naturally. I'll check it out and leave it here so other can take a look. Brilliant article. I went through the post. lol thanks for the personal welcome :-). I like spicy food myself. If I ever come across it I will be sure to give it a bash. Oooh love my gory intestines, gavelect! 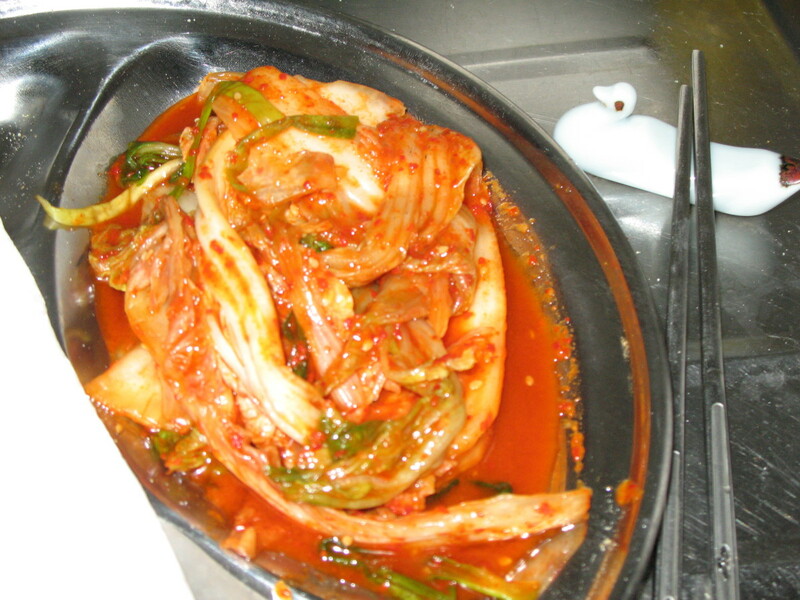 There are over 200 kinds of kimchi - many vegetables can be fermented like this. This one, made with cabbage happens to be my favorite. I like the bit of crunch and I like the spiciness. It's also easiest to find. And a little bit goes a long way. I hope you find some and try it and then let us know if you like it. As the weather gets chillier here in NYC I'm more likely to eat it - or bring it to someone's home as a gift. It goes over well as a gift. Great post on Kimchi. The image makes it look tasty and it probably is however, all the gory details of intestines and what kind o put me off a little lol. How does it taste. I have read a few commenter opinions but what's yours? Great to meet another kimchi lover kerlynb! After living in S. Korea over a 4 year period it was so obvious why Korean people are healthy and do not have the weight problems like we do here in the US. They believe in locally grown fresh food and know all their benefits. I've eaten so many kinds of kimchi but the cabbage one is the most popular here and was my favorite in S.Korea. Thanks for writing! No wonder Koreans eat kimchi with each meal! It's chock-full in nutrients. Fermentation really brings out so much health benefits in kimchi and in many other kinds of food. As for me, I prefer the cabbage kimchi. Radish kimchi would also be good though it is less in supply than cabbage kimchi in my area. You're welcome! Now I want kimchi rice bruzzbuzz. It is an excellent, tasty dish. Glad to hear you are taking good care of yourself. The kimchi rice sounds like something I would like. I started juicing and eating better early in the summer and dropped a significant amount of weight. If course, I am much healthier too. The kimchi rice will fit nicely into my healthier lifestyle. Thanks for a great hub. You're welcome AnnetteyBetty! Since I live in NYC I am finding kimchi readily available and think I will pick up some soon! It is addictive happypuppy - and I find as winter approaches the cravings start again. Glad you enjoyed this most unique food. I first had kimchi at a Korean restaurant and have become addicted to it. Kimchi with white rice is so amazing! It's also a great side dish to your BBQ ribs...yummy! When I was in S. Korea I had every kind of kimchi, radish kimchi was popular - amazing! I'm a big fan. Here in NYC it seems bok choi is the common term and not napa. Of course the quality is inferior so it does not taste as good as the real kimchi of Korea. I am a big fan of Korean cuisine! The most common form of kimchi is from napa cabbage, not bok choy, although there is a bok choy kimchi (but it is not as common as the napa cabbage version). Have you tried radish kimchi from the daikon radish? That one is delicious too. Anyway, thank you for the informative article! Kimchi is the best! I suppose it demands on how long you cook it. A quick stir fry - which I have done with rice, is still quite tasty and spicy and I guess still has a lot of the nutrients. But probably not all. I think cooking anything too long - or baking in the oven would destroy nutrients - and that's probably true of all foods. Once the flavor leaves kimchi I suspect the nutrients too. I do like it cold for the absolute best flavor. And I am glad you wrote! Do you lose health benefits when cooking Kimchi? You're welcome Dang. I must say I really like the idea that you have turned this into a business. How enterprising. With so many people loving kimchi now and appreciating the health benefits - this could be my specialty at gatherings. Such a great idea. You've inspired me. Thanks for the info on health benefits of kimchi. Actually i really love kimchi very much without knowing the health benefits you've mentioned in this site. I even made my own kimchi based on the recipe i got from the internet and guess what even my officemates liked it when i brought some in the office. Now they are ordering kimchi with me. Now i more than love kimchi specially after knowing the health benefits. You're welcome Micky Dee. I do find it addictive. Thanks for writing! I love kimchi. I'll enjoy some soon! Thank you BK! Kevin - your mother was absolutely right and I hope you listened. S. Korea is absolutely amazing on so many levels - and food is just one of them. I had some of the best years of my life living there. Wow! Wow, I am Korean and never knew Kimchi was this good for you. I've been doing some research online about Kimchi and I guess my mother was right all along. I think you will enjoy it theherbivorehippi - it is so unique and so nutritious. Hope you can find a good source. Let me know please. Enjoy! Hmmmmm kimchi? I must try some of this! I feel as though I've had it before because it sounds familiar but I'm really not sure! sounds like something I would love though! :) Great hub! Thank you so much OrganicAloha! Of course the Korea people knew what they were doing when they created this amazing food! I loved living in Seoul because I had the opportunity to eat a super healthy diet. Great food! Great Women! Great country! Thanks for your input! And great blog by the way. I wish I knew how to leave a comment! Kimchi has been voted the most healthiest food in the World. Along with Dengjang, Korean Bean Paste. 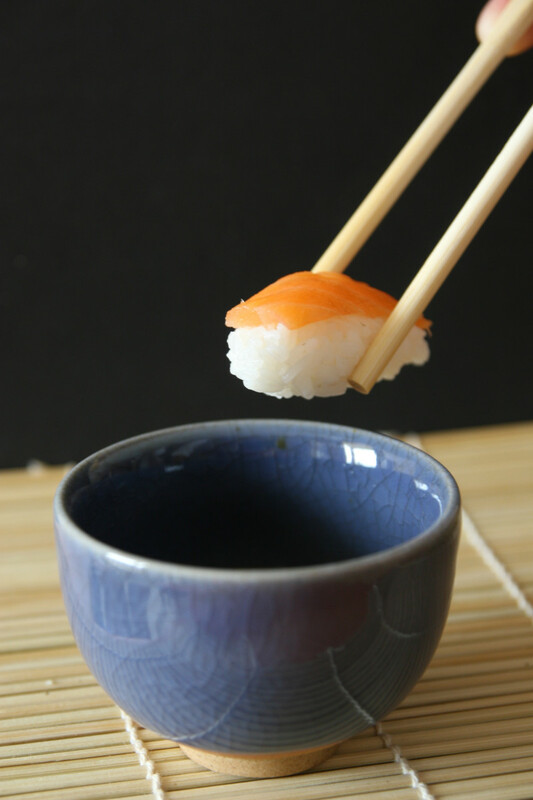 Some call it miso, but the true origin of bean paste is from Korea/China way back when. Yes, the un-food foods Rochelle Frank. That's what it is - and manufacturers get away with it. They can call a candy bar chocolate even though it only contains 10% chocolate. I looove sauerkraut and had some last night with some left over. My Dear Mother used to make it and I'm talking about over 50 years ago - it was outstanding! and nothing on the market comes close to it. I haven't made yogurt in years but it was so much better than the overprocessed stuff on the market now. Ah, kimchi - I've had great kimchi and tasteless kimchi. But when it is good it is...well exciting, like all good foods. I will come back to this for a more focused read. I make my own yogurt, and my husband's German family introduced me to real sauerkraut. I think probiotics are more important than ever in a society overcome with un-food foods. I have tasted a rather overpowering version of kimchi. I'm sure it was not my favorite culinary experience-- but then I know lots of people who 'hate' sauerkraut-- until they taste mine. So true Rudra! I worked in S. Korea and they would not dream of eating the processed garbage we call food here in the US - and for school lunches - never! The children were fed a real 4-5 course meal. The quality of food is far superior, overwhelmingly fresh, and locally grown. And they eat, they eat a lot but it is not packaged, frozen, processed, dairy-based - or cooked in ovens. Ovens are not standard in S. Korea. There is no doubt that food in the far east is definitely healthier as it consists of plenty of fish and other healthy produce. Fast food is one of the culprits in the west. As long as it is not a dietary supplement, Rudra, I can eat it - as a food. The people in S. Korea are a perfect living example of the healthy benefits of kimchi which is a staple at every meal. We should wish in the U. S. to be half as healthy. Actually I am a little sceptical of probiotics. The ecology of the gut has evolved over millions of years and would it be appropriate for us to interfere. But as far as natural products are taken, then it should be OK.
You're welcome Greenheart. I hope you find the kimchi and enjoy it. 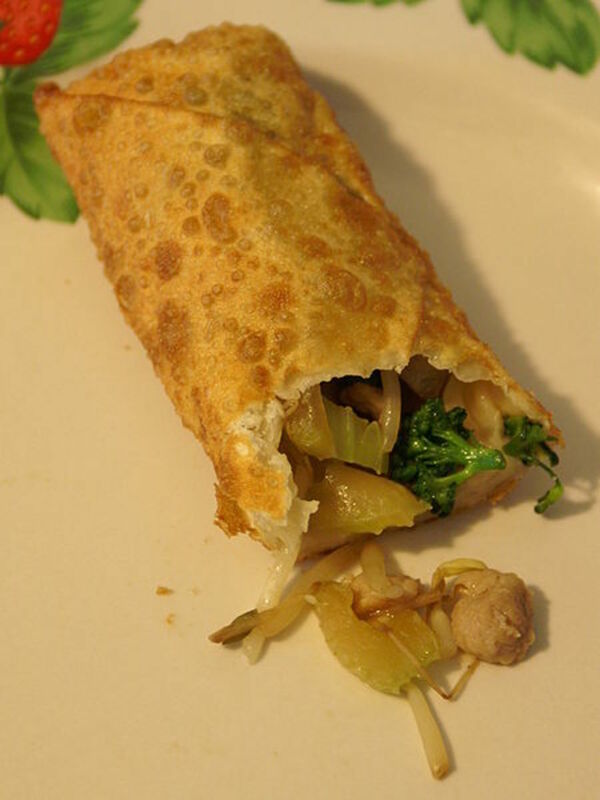 My favorite is made from bok choy - I think that is the most popular. Thanks for writing! I will be looking out for a Korean food shop to get hold of some Kimchi.I heard that it is a good immune booster and may help with various flu's. Hello allie8020 - I'm glad to meet another kimchi lover. I'm glad you found the information useful. Thanks for writing! Great hub! I've recently been eating more kimchi the last 2 weeks, but I had no idea it has a lot of health benefits. I'm so glad it's now part of my diet. This is very useful information. Thanks! Nice to meet you Deborah Mazon. Enjoy your wonderful kimchi! Thanks. I am trying to eat better and I am going out for kimchi tomorrow. Good hub, good to know! I got quite a bit of info from the Korea Food Research Institute. Just google or yahoo that and look for kimchi. I am writing a paper for biology on kimchi and its probiotic benefits. I need some scientific back up, can you offer any suggestions? Ahhh, Incheon - I have great memories. I made some kimchi rice the other day - it was excellent. Here in NYC I can buy really good kimchi at the Korean market - as well as pa jun and quite a few other really good foods. The longer the kimchi ferments, the better it tastes! Thanks Cheeky Chick - hope you find good kimchi. When I'm near a Korean supermarket I can find it at great prices. Good stuff too. At my local farmer's market - they sell a Chinese style kimchi - but I prefer the Korean style. Thanks for the info, Bk. I tried getting store bought kimchi today from Safeway, but couldn't find it. I will check another store with a larger specialty or Asian food section. Or, maybe I'll get brave enough to make my own. I've had it once before and I really liked it. Hello Cheeky Chick - in the research I've done - I've read that dairy creates the stomach and bloating problems - kimchi has no dairy. I've never had a problem and know no one that has. The good thing about making it yourself is that you can control the hot spice - although I like it quite spicy! I had no idea that kimchi was rich in probiotics. Kimchi sounds like a way for me to get some veggies and probiotics all in one delicious side dish. You mentioned lactic acid bacteria...I get bloating and stomach pain from dairy (I'm lactose intolerant), do you think I would react the same way to lactic acid bacteria? I think you may enjoy it beyondthegarden! Nice to meet you by the way and I'm coming to visit! Hello Mocha Momma! I think you might enjoy the bit of spice! Hope you like. Nice to meet you and I will come and visit you! Thanks for commenting! What a great article! Thanks so much for this info! I don't think that I've tried Kimchi and I most definitely will try it now as I love to try different foods from all over! You're welcome TotalReviewGuy! Enjoy your bulgogi! Thanks for the comment hinckles koma. So true about it being vital to the digestive tract - I have to restock and will soon. And you just need a little! Hello Rubes. It is quite a unique taste. Even those who thought it was too spicy and would never eat it again - tend to come back for more - I think the body recognizes the need and a craving sets in! Glad you enjoyed the Kimchi! Never had it myself, but it looks delicious. As a matter, febriedethan, I do know how to make kimbap - and bibimbap is one of my favorite easy meals - so nutritious and with lots of hot pepper paste. I lived in Seoul over a 4 year period and I ate the best foods! My favorite meal is pa jun, with sujabe - and let's not forget the dongdongju! Thrillsville! Lucky you ChrissyDean that your father makes kimchi - I find it addictive once I start eating it. I plan to make some for the winter. I will come and visit you now! Thanks for writing Andron - and we can learn so much from ancient civilizations. Kimchi has kept the people of Korea very healthy for ages - they understand food and it's healing benefits! I'll even take a supplement when there is going to be a major change - like traveling - or working with children. So true hypnosis4u2 - we are a pill popping culture - yet we are still so unhealthy. They are meant to be supplements I suppose and not take the place of real food. One hubber mentioned that her daughter takes supplements when she travels - that makes sense - we do need the extra benefits when stress sets in or there is some change in our lives. My father has been making kimchi for years and swears by it. It's actually not bad, but I never make it myself. Thanks for this! Nothing like a good Korean restaurant. Glad you enjoyed the kimchi! I find it addictive - and will probably make some this winter. I was at USA 4 months ago . I tasted first time Kinchi in a Korean restaurant with a friend from South Korea . It tasted pretty good. But I did know the benefits for our health. Your hub gave me the ability to know about it. Thank you for this. I agree dashingclaire - Kimchi is soooo addictive! 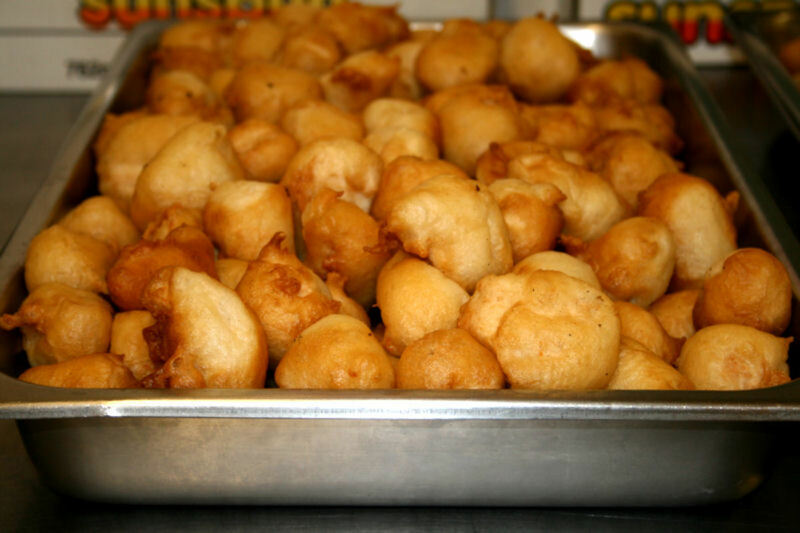 I'm a NYer too - so I can find every cuisine in the world right here! I agree with kimchilover, I love kimchi. A Korean woman made it for me. Once I got pass the fermented part, I was addictive. Thank you from a New Yorker where you can find any food! Thank you Granny Choe! We have a long way to go before we begin (once again) to understand the health benefits of real food. Healthy bacteria is a good thing and necessary. I will check out your website! I'm with you on the Asian cuisine. Love it love it love it! Probiotics are definitely gaining some attention but as you mention tends to be with supplements rather than real food. But some attention is better than none. Thanks for the hub though. I love Asian Cuisine in all its many styles and flavors. Hi charm-baker, yes probiotics are the big thing but unfortunately Americans always think of supplements so there are tons of such on the market - but food is the real deal - and Koreans have known this for ages - thus kimchi. There are lots of fermented foods with all the benefits. But we have all had sauerkraut (unfortunately too often with hotdogs) and we know the homemade pickles. Thanks for the many compliments! KimchiLover - I too find kimchi addictive - or maybe I just feel healthier and my gut (what it's good for) is asking for more because I need it. If you are in NYC look for a big Korean market and you can buy it always at a good price. I love kimchi and you are right - it is addictive. Sometimes I just crave it - maybe my gut is telling me something. Thanks for this. Will check the recipe. Wow - I have to admit, I was kinda appalled at the beginning of the hub - FERMENTED FOOD??? Ugh!!! I wasn't able to relate until you mentioned Americans and yogurt:) I don't think I ever knew the beneficial effects of yogurt even. This is definitely food for thought! (PUN INTENDED:)Great Hub, as always.